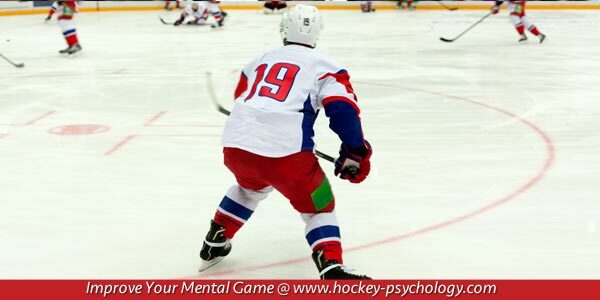 All hockey players have heard the phrase, “It doesn’t matter if you win or lose, it’s how you play the game.” Let’s spin this phrase in a different way… How you play the game (your level of effort, intensity, discipline and focus) is a better indication of your likelihood to succeed in the future, than the outcomes of one or two games. Achieving success over the course of a season is a process. Successful players and teams focus on ways to improve “their game” regardless of the outcome of a game. When you are focused on “your game,” you commit yourself to the process of continual improvement. With this mindset, a loss doesn’t define you but becomes a learning experience. When you are committed to the process of honing “your game,” you have a clearer focus for practice and training sessions. When you are committed to playing your game, you focus on execution and are better equipped to manage your emotions. The Toronto Maple Leafs, who are in the hunt for a wild card spot, have played poorly down the final stretch of the season. Toronto Head Coach Randy Carlyle points to his team’s inability to execute and mental breakdowns as reasons for their slow starts to games and 2-8 record over the last ten games. The Leafs started the season 10-4 despite not playing up to the level of Carlyle’s expectations. You want to focus on your strengths, such as quickness, and utilize those strengths in your game plan. Committing to your game plan to play to your strengths will help you trust in your skills. If you are indecisive or second-guess yourself on the ice, it’s harder to play freely and trust what you practice. Always objectively assess each game performance without emotion. Focus on how you can improve your game based on your game performance. Improve your mental toughness with one-on-one mental coaching with Dr. Cohn!